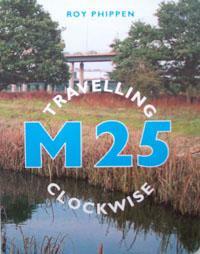 M25 Travelling Clockwise | Map Stop | Top maps at a reasonable price in one place. This is a smashing little book of the M25 full of interesting information and anecdotes with fabulous pictures and great maps (well we would say that as we produced them!). Written by Classicist-turned-cabbie Roy Phippen, his fares were always asking questions about the M25. Ruined Palaces, restored piggeries, secret bunkers, beautiful bridges, poets, traitors, revolutionaries and the Ovaltine egg farmers all have a place in Roy's universe. The M25 will never seem the same and next time you're stuck on it you'll know what's lurking just round the corner! Ideal for drivers or anyone with an interest in travel.